Ici, tout est bon comme du bon pain! 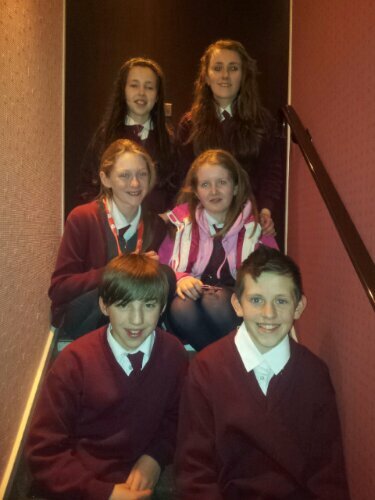 Arrived at our hotel safe and sound! A long journey for you all. 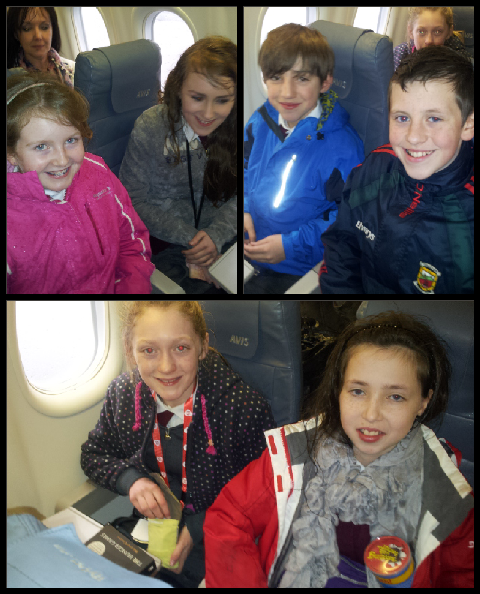 We’ve arrived safely in Manchester! 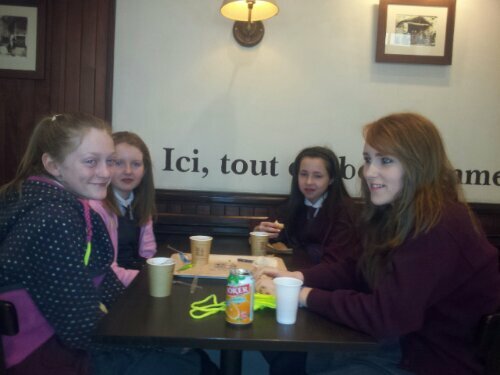 Arrived safely. Connecting flight to Paris now via Southampton. 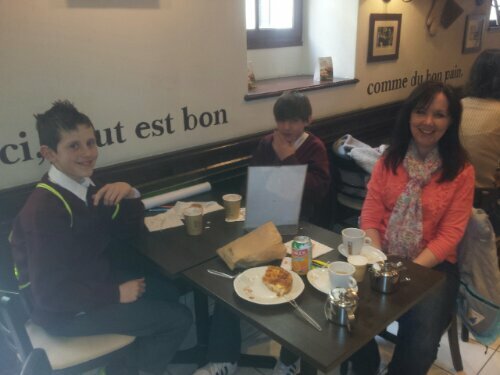 We’ll arrive in Paris two hours later than planned. 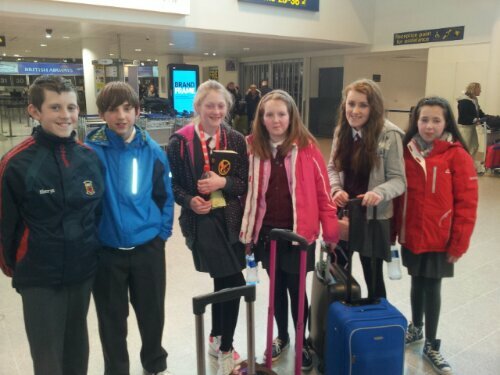 “@gortskehy: “We’ve arrived safely in Manchester!” foilsithe ag Máistir Ó Beirn. bit.ly/16O2HrO” wow where are you off to now? 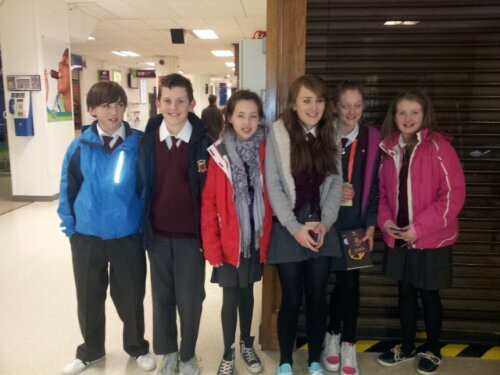 Ready for departure at Knock airport. We’ve checked in and are wandering around duty free at the moment. Have a great time guys!! 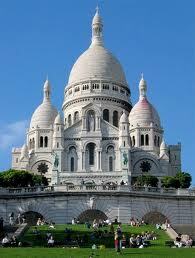 The Basilique du Sacré Coeur is a Roman Catholic church and a Minor basilica dedicated to the Sacred Heart of Jesus. It is located in Paris on the top of Montmarte, which is the highest point in the city. It was built in 1875 and was built with the direct involvement of the Third French Republic to mark the foundation of the new French State whose laws were enacted that year. It took forty-four years to build as it was officially finished in 1919. Paul Abadie designed it but he passed away in 1884, when only the foundations were laid! Lucien Magne then took over. He only added an 83 metre tall clock tower. 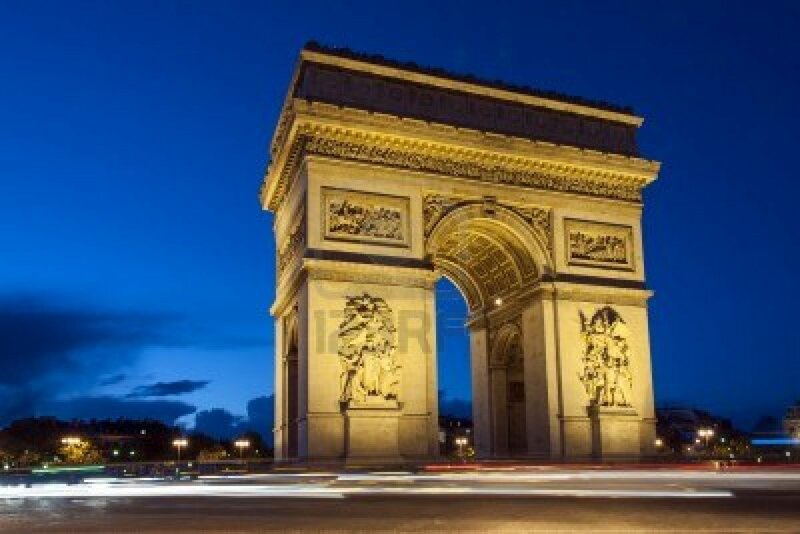 The Arc deTriomphe, in Paris, was built in honour of the people, who fought and died during the Revolutionary and Napoleonic wars. 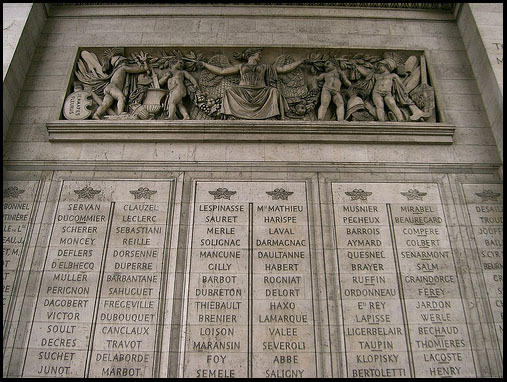 It has the names of all the French victories and generals carved on the surfaces. The picture shows some names on the Arc de Triomphe. Beneath the Arc de Triomphe, lies the Tomb of the Unknown Soldier, from World War One. Construction was halted, between 1833 and 1836, because of the Bourbon restoration and would not be completed, until the reign of King Louis-Philippe. The Emperor Napoleon returned for his final visit to the Arc de Triomphe on the 15th of December 1840. Napoleon was buried in the Panthéon in Paris. 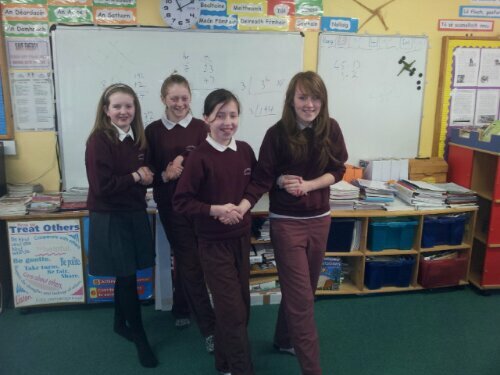 Next week we will dance for our French friends in Strasbourg. We’re really looking forward to it! The Maginot Line was a long line of walls, forts, and armed defences that the French built after the First World War to prevent a future German invasion of France. The plan was that the French army would have time to get ready and go north to Belgium and win any battle with the Germans there. The French thought it would be a great idea. The defences did not extend through the Ardennes Forest because the French thought the Germans would never be able to break through the forest. But they did. 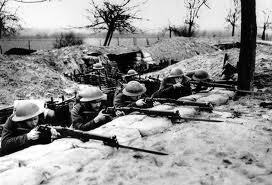 In the Second World War the German army and French army met in Belgium. The Germans circled around the wall and attacked. The wall was no match for the German tanks, machine guns and air fighters coming from all around it. The Germans were way too strong for the French. The Maginot Line didn’t prevent the German defeat of France in World War 2. When the first part of what became known as the palace of Versailles was built, Versailles was a small village; but today, however, it is a wealthy place about 20 kilometres south west of Paris. The court of Versailles was the centre of political life in France from 1682 when Louis XIV moved from Paris, until the royal family was forced to return to the capital in October 1789 after the beginning of the French Revolution. 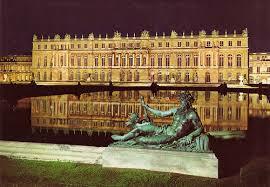 Versailles is therefore famous not only as a building, but as a symbol of absolute monarchy . The earliest mention of Versailles is in a document from 1038, relating to the village of Versailles. In 1575, the surroundings of Versailles were bought by Albert de Gondi, who invited Louis XIII on several hunting trips in the forests surrounding Versailles. Pleased with the location, Louis ordered the construction of a hunting lodge in 1624. 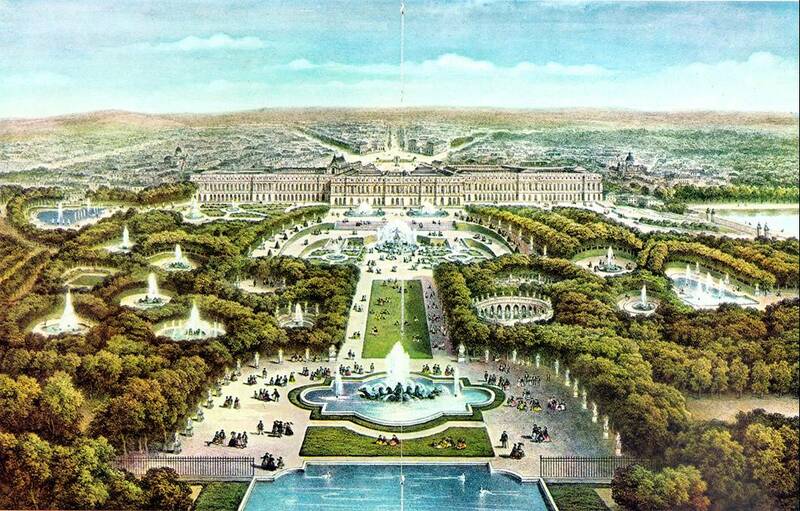 Eight years later, Louis obtained the surrounding of Versailles from the Gondi family and began to make enlargements to the Palace.